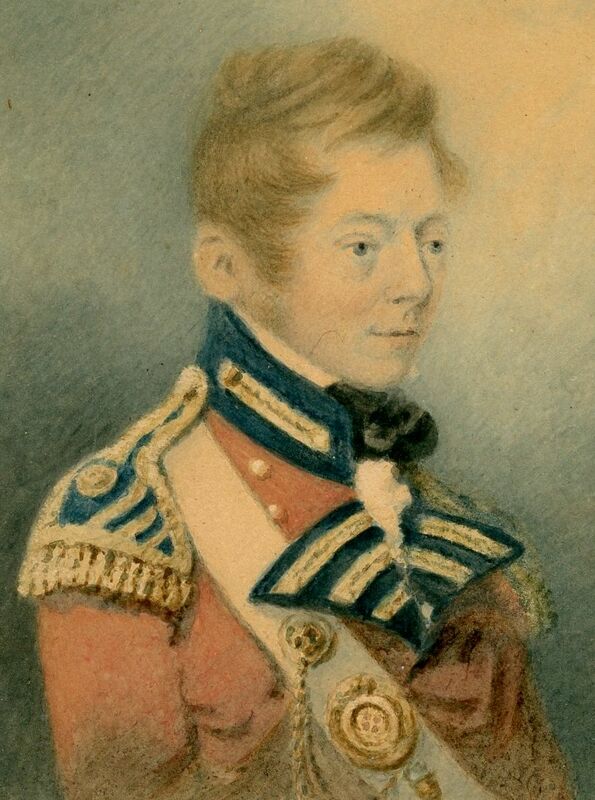 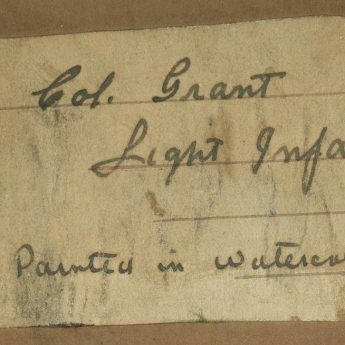 This small watercolour is a portrait of Colonel Grant of the Light Infantry looking splendid in his red coat with blue facings, gold braid and epaulettes, his cross-belt also heavy with gold decorations. 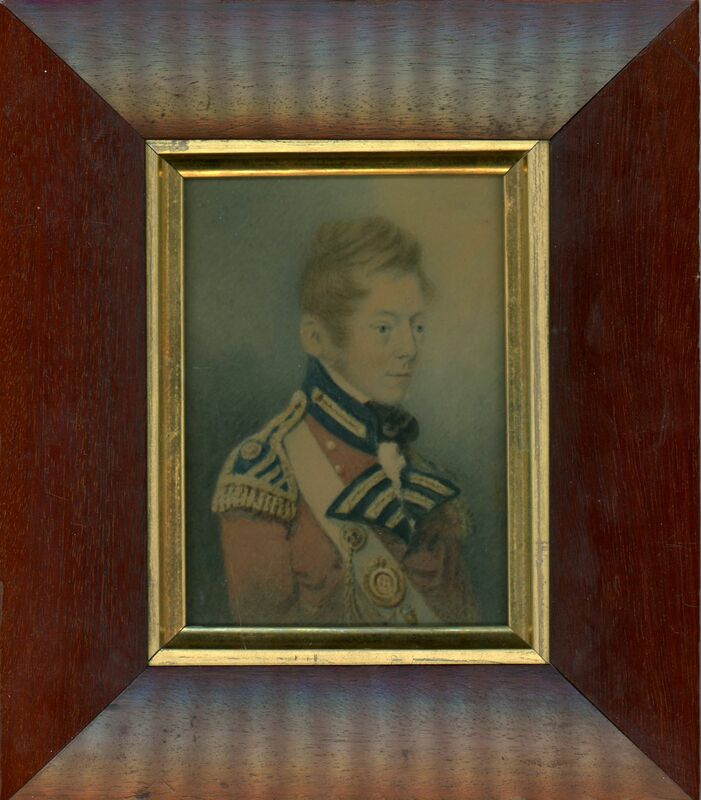 An old hand-written label on the back dates the portrait to 1805 and names the artist as J. Robertson. 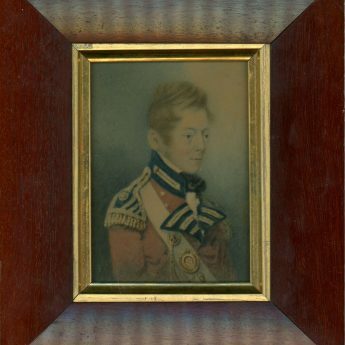 The portrait resides in a rosewood frame with a gilt slip.